The Wis-Kino Fall ’08 Kabaret has garnered a bit o’ local press, and we wanted to share the love with everyone (and say thanks to those reporters who took the time to come check us out). Student paper the Badger Herald has some info and a photo from the event itself, plus interviews with former Wis-Kino directors (and general ne’r-do-wells) Tona Williams, Aaron Yonda, and Matt Sloan. The Onion’s new Madison events guide, the Decider, has a good recap of the Kabaret plus a couple of the submitted films (which we’ve also linked in the below post). 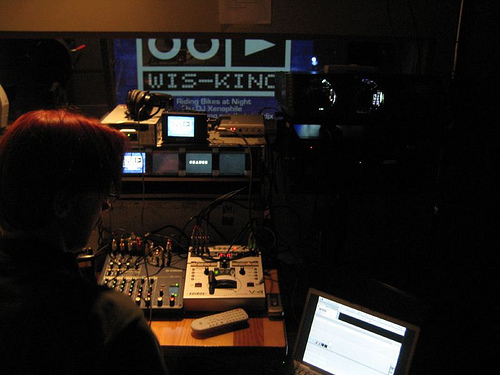 For more of the press Wis-Kino has gotten over the years, check out our press page. And don’t forget about our 2008 Retrospective screening, where we’ll show various films that have screened over the past 12 months of Wis-Kino. It’s free, and it’s on Saturday, Jan. 24th at 8:00pm, at the Mercury Lounge on E. Mifflin St., downtown Madison next to the Bartell Theatre. We may or may not move into this place in the near future.